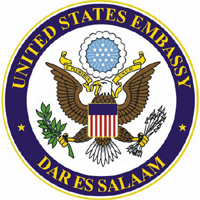 The U.S. Mission in Dar es Salaam is seeking eligible and qualified applicants for the position of Public Health Specialist - Laboratory Advisor at the Walter Reed Army Institute of Research (WRAIR). Level IV (Fluent) speaking/reading/writing) in English and Kiswahili is required. Master's degree in Health Laboratory Sciences is required. A minimum of five years of experience in public health laboratory procedures and systems with additional two years of managerial experience is required. Incumbent serves as principal coordinator for laboratory systems and services within Tanzania and is responsible for planning and implementation of capacity building of all laboratories to ensure consistency of results. In general, reviews individual laboratory procedures, weighing against accepted protocols and develops programs to ensure consistency. Participates in developing major initiatives including the country program plan and planning of all cooperative agreements that require research and diagnosis of HIV/AIDS, STD, AI, TB, malaria and emerging diseases in laboratories throughout Tanzania. Jobholder provides technical evaluation of all proposals for laboratory capacity building projects of partners, ensuring that protocols are being followed appropriately and recommends amendments/approval to supervisor. The annual budget for external laboratory programs in Tanzania in fiscal year FY 2013 is $2 million. Incumbent is responsible for planning and drafting the laboratory portion of the Country Operational Plan (COP) each year and working with Counseling & Testing, Care and Treatment, Prevention and Strategic Information colleagues to ensure that programs are working together to complement support and capacity building.